- Size: from 8" to 20-35"
Length Size(inches): From 8" to 38"
Color: Available in natural colors. 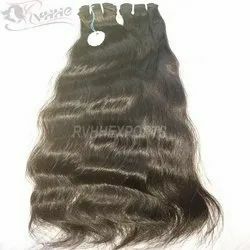 Pack Size: Available in 8-32"
With consistent obligation towards superiority, We Manufacturer and supply 100% Indian Human Hair Body Wave Hair Weave in Virgin Remy, Remy and Tangle Free Hair. Sizes available 8" to 32"
Color: Natural color available in stock but we can make all colors on custom order. Being a quality-centric organization of this industry, we are engaged in providing a wide array of Double Drawn Machine Weft Hair. 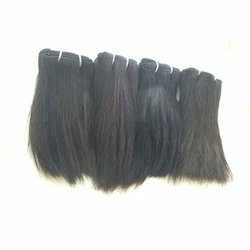 In order to keep pace with never ending demands of the customers, our company is instrumental in presenting excellent quality assortment of Machine Weft Wavy Hair.